Eighty-four superbly crafted two and three bedroom apartments spread across edifies of seven storey each averaging between 1180 and 1680 square feet to give you true value for every square foot. Ganga Elika is a perfect blend of location, from where you can walk to everything, from shops to schools, clubs to mall, yet take in the sylvan greenery of tranquility for a price that will certainly surprise you. It is endowed with a grace that translates into well thought our specifications for your safety and comfort. 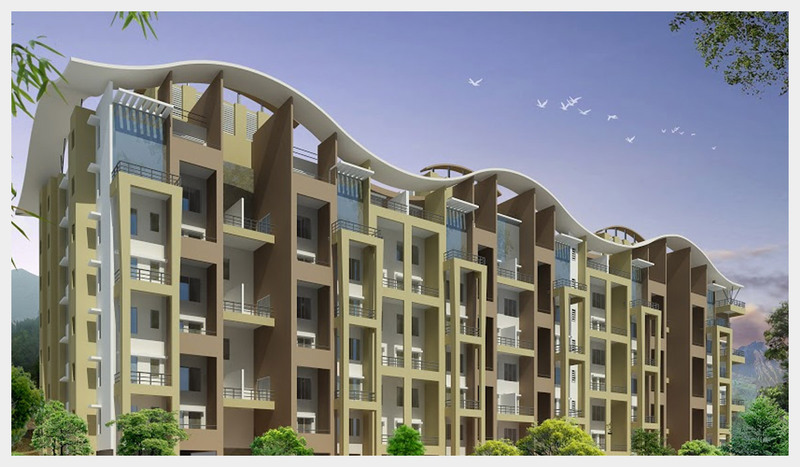 Every amenity that you need is properly in place with the finest construction materials to make a sublime fusion called Ganga Elika, blissful homes where goodness dwells. Main Entrance door designer and all internal doors will be flush/Designer doors with superior fitting. Toilets and Bathrooms - Ceramic anti-skid floor tiling. Good quality aluminum sliding windows.FLOORING & SKIRTING Good quality tiles throughout the shop/ office/ flat.